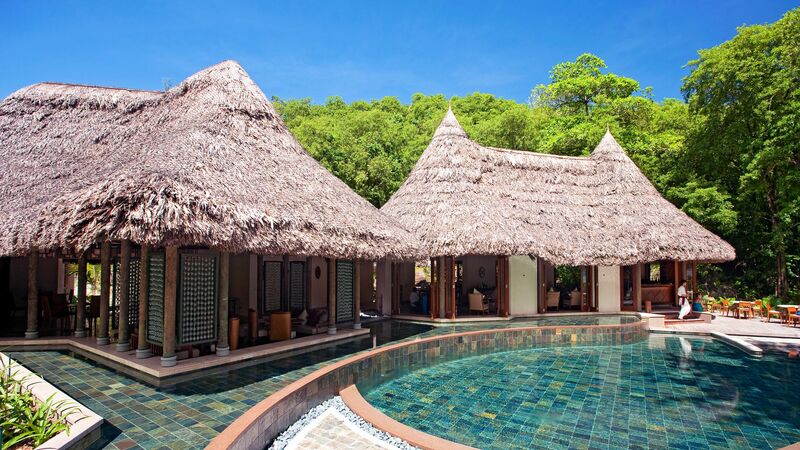 A sprawling retreat set amongst lush vegetation and nestled between two outstanding beaches, Constance Ephelia offers a fusion of contemporary relaxation with authentic island touches. With beach bars and fine dining restaurants, you will be spoilt for choice each night, while during the day you can try plenty of activities. For those who like to keep active, there is a range of outdoor adventures to choose from. Ensure you finish the day outstretched by one of the five impressive swimming pools or take a walk down to the beachfront, which is just seconds away from the resort. Choose to stay in a sophisticated suite or deluxe villa. For an ultimate luxurious getaway, opt for a Hillside villa. 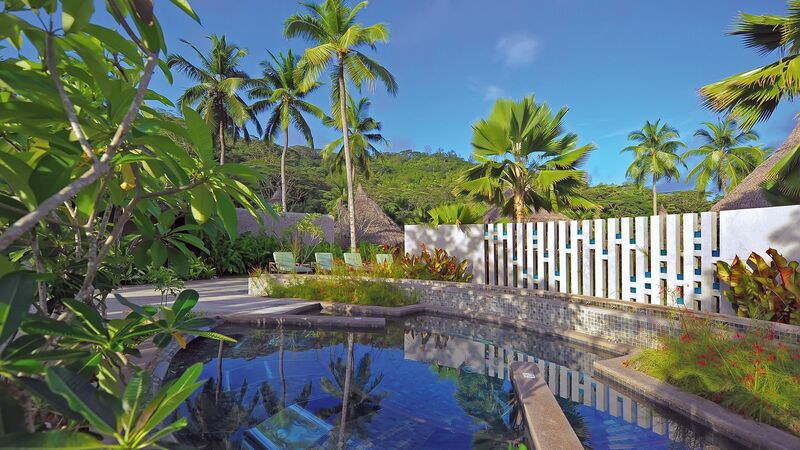 Relax by your private swimming pool, surrounded by stunning views of Port Launay Marine Park and rolling emerald hills. A range of hotel prices apply for children aged 0-6 and 7-12 years old. The resort has 313 suites and villas. A restaurant celebrating the flavours of the East, with a focus on Malay, Singapore and Indonesian cuisines. 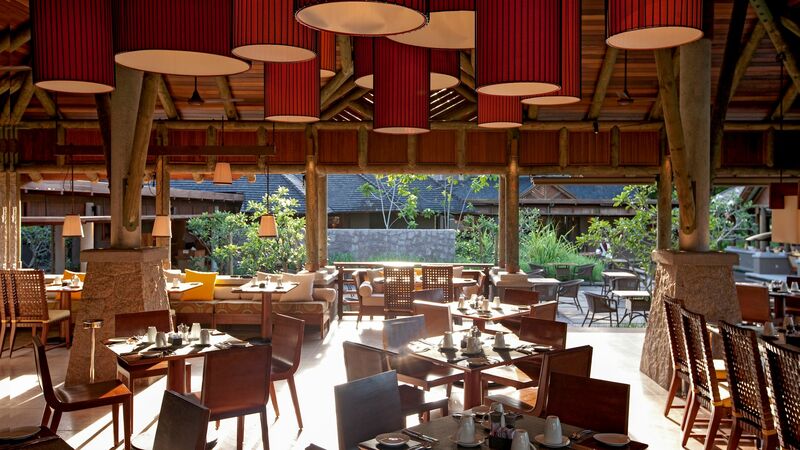 Enjoy a feast with the family or a romantic dinner for two by the poolside. The dress code is casual chic. Swimwear is not permitted. This buffet restaurant has something for everyone. Choose dishes from all over the world at breakfast or dinner and decide if you want to enjoy your meal with a pool, lake or garden view. Open: 07:00 – 10:30 and 18:30 – 22:30. The dress code is casual chic. Please ensure swimwear is covered and footwear is worn. With impeccable views over Port Launay Marine park, dinner at Cyann features a symphony of flavours as French culinary techniques meet Asian influences. During the day, stop by the sushi bar for a light lunch. Open: 12:00 – 16:00 and 19:00 to 22:00. An evening dress code is required here. Button down, collared shirts and long trousers for gentlemen. A Mediterranean buffet is served here, with Spanish, Italian and Moroccan dishes available. 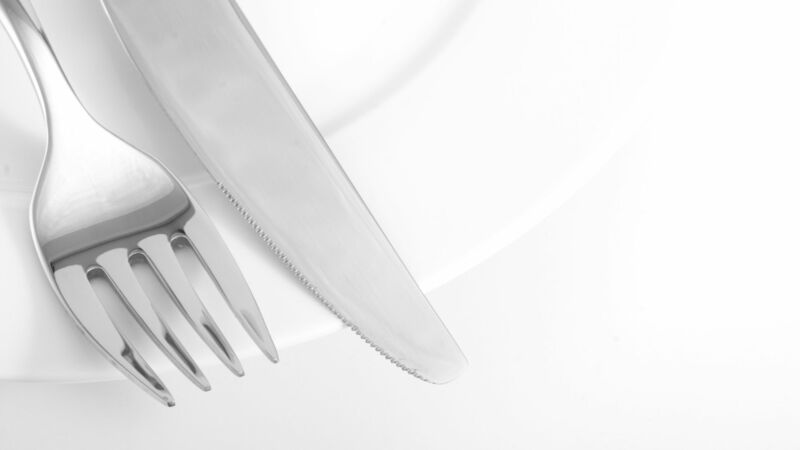 If you decide you’re in the mood for something different try the themed dinner. A bar on the beach. It’s the perfect spot for a pint or cocktail as the sun sets. With a plethora of games nearby and tropical slushies on tap, it’s great for the kids too. Facing the North Beach, there is a relaxed vibe at Seselwa. Enjoy a glass of wine with a delicious meal to the sound of creole tunes as the sun sets. 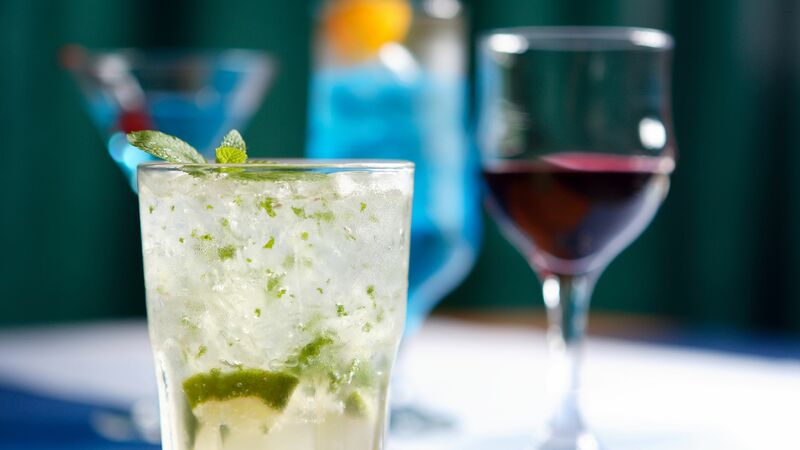 Choose a seat in the lounge or out on the terrace and enjoy a selection of alcoholic and soft drinks to sip on. The resort has direct access to two pristine beaches. 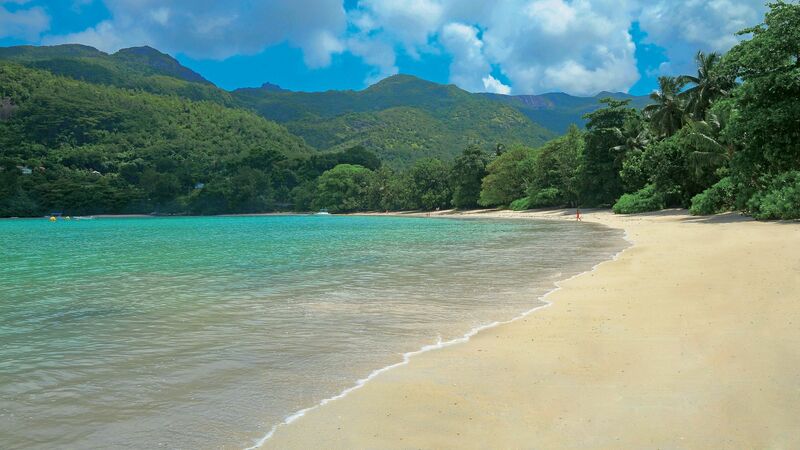 Choose Port Launay beach for views of an incredible marine park or opt for the South beach. Set in a cove, it is the epitome of tropical paradise. 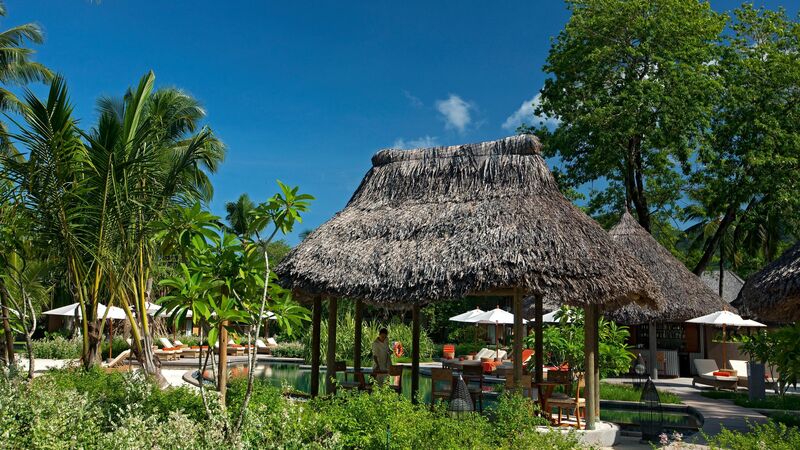 Constance Ephelia boasts five incredible swimming pools for you to lounge by or to splash around in. Couples can relax around adults only pools, while children will find shallower options just for them. 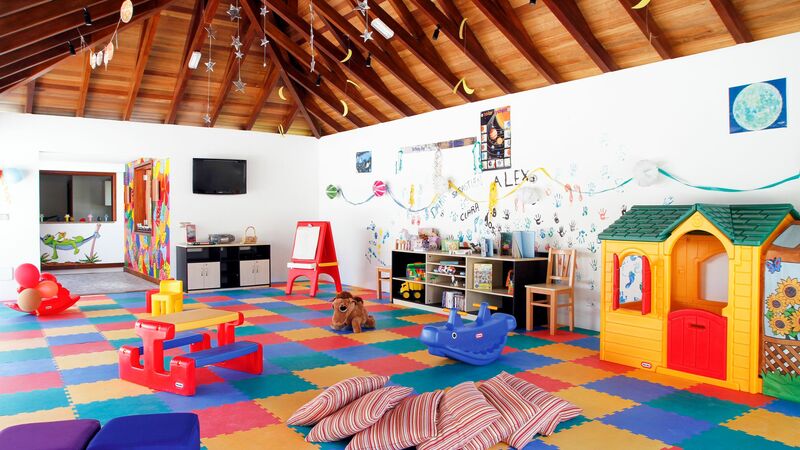 The kids will be entertained for hours at Constance thanks to a jam packed schedule of culinary lessons, arts and crafts and treasure hunts with trips around the island. Ages: 4 - 11 years. 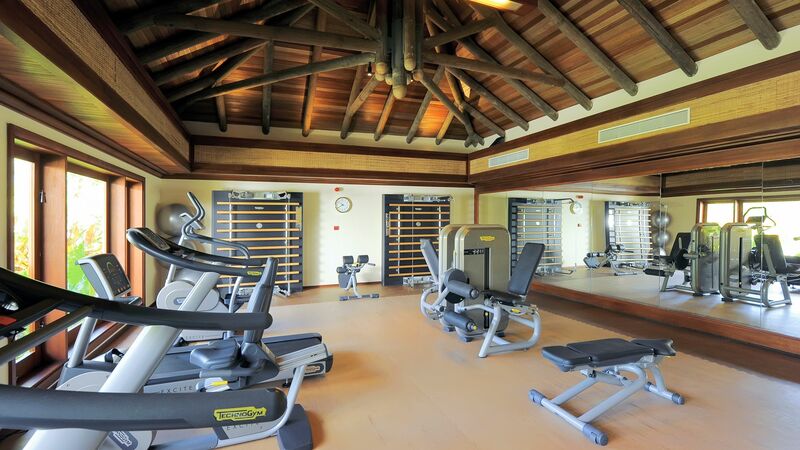 From weights to a yoga pavilion, the fully equipped fitness centre will keep you active on your holiday. The epitome of tranquillity. Set amongst lush tropical gardens, the spa offers a range of relaxing, rejuvenating and invigorating treatments and massages. A sauna, steam room, Jacuzzi and thermal pool are all available for you to use at the Indian Ocean’s largest spa. Once in a lifetime experiences are offered at Constance Ephelia. 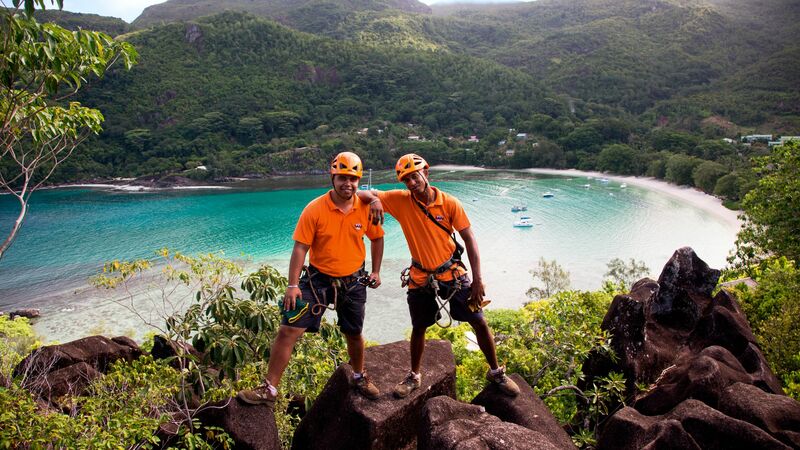 Take a zip line through the exotic jungle with magnificent views of the island as you soar through the trees, or scale one of the Seychelles’ most iconic boulders. 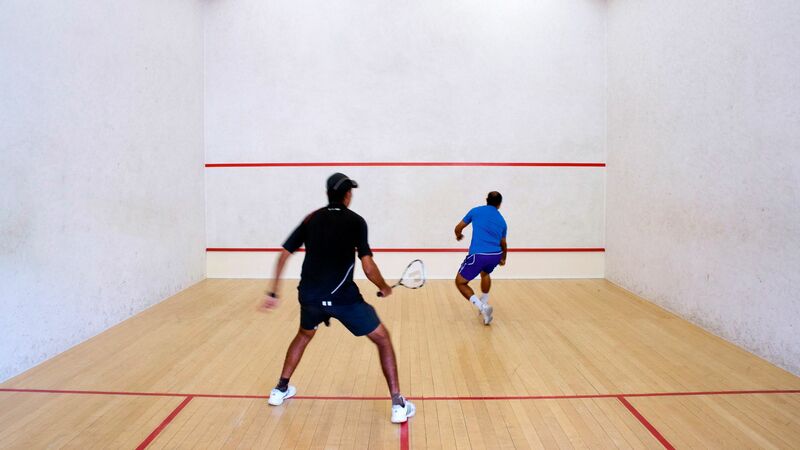 Practice your back hand or serve at the onsite tennis and squash courts. Ideal for friendly games or competitions. Spend the morning out on the water. Pedal boats, catamarans, wind surfing and kayaking are all complementary. Fishing and diving are available too, for a small supplement. 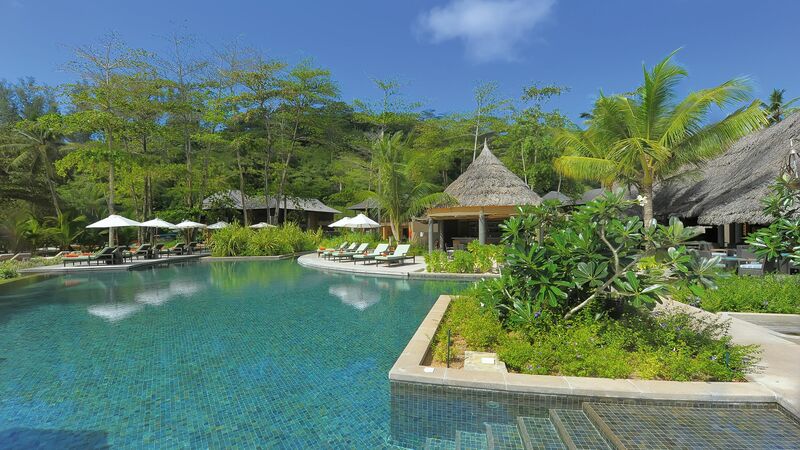 Constance Ephelia is set on the Seychelles’ main island of Mahé, where you can enjoy a tranquil holiday. Spend long lazy days choosing from one of two white sandy beaches where you can relax on loungers or take to the sea for swimming and snorkelling. More active guests can try wind surfing or catamaran sailing, or explore hidden coves by kayak. If you prefer to head underwater, scuba diving trips allow you to see the vibrant coral and colourful fish just off the coast. Head to the island’s capital, Victoria, where you can try delicious local delicacies or explore little trinket shops and market stalls. 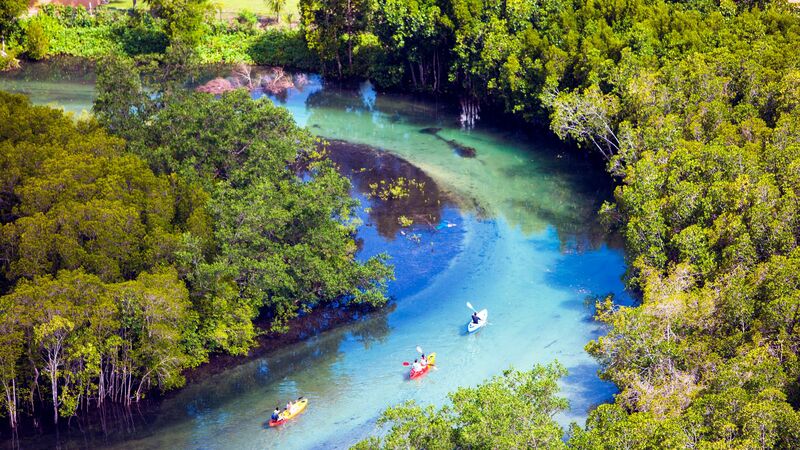 Venture inland to explore the tropical jungles with an expert local guide. Constance Ephelia is a 45 minute drive from Mahé Airport. Junior Suites measure 62m2 and are found just a few steps from the beach. They provide spacious indoor seating and a furnished terrace, ideal for sunbathing. Facilities include air-conditioning, hairdryer, LCD TV, telephone, mini-bar, a safe, bath, separate shower and free Wi-fi. Senior Suites measure 80m2 and are located just a few steps from the lagoon found among tropical vegetation. They come with a large double bed, oversized bath and a furnished terrace ensuring a beautiful view. Facilities include air-conditioning, hairdryer, LCD TV, telephone, mini-bar, a safe, bath, separate shower, Nespresso machine and free Wi-fi. Two-bedroom Family villas measure 330m2 and have their own private pool and garden, fully equipped with four sun loungers so every member of the family can always sit back and relax. Located just a few steps away from the beach and nearby to the heart of the resort with all the restaurant's and bars. It's also possible to arrange in villa dining for those nights when you all fancy staying in and making the most of your private living and dining area. Facilities include air-conditioning, hairdryer, LCD TV, telephone, mini-bar, a safe, bath, separate shower, Nespresso machine, 24 hour room service, a mini-wine cooler and free Wi-fi. One bedroom Beach villas measure 240m2 and have their own private pool and two sun loungers, perfect for sunbathing. Located right next to the beach, there are fantastic views over some of the Seychelles' finest beaches. Surrounding vegetation ensures the utmost privacy. Facilities include air-conditioning, hairdryer, LCD TV, telephone, mini-bar, a safe, bath, separate shower, Nespresso machine, 24 hour room service, a mini-wine cooler and free Wi-fi. Two bedroom Beach villas measure 370m2 and have their own private pool and four sun loungers, perfect for sunbathing. Located right next to the beach, there are fantastic views over some of the Seychelles' finest beaches. Surrounding vegetation ensures the utmost privacy. Facilities include air-conditioning, hairdryer, LCD TV, telephone, mini-bar, a safe, bath, separate shower, Nespresso machine, 24 hour room service, a mini-wine cooler and free Wi-fi. One bedroom Hillside villas measure 120m2 and have their own private pool and four sun loungers, perfect for sunbathing. Located high on the hills and encompassing the surrounding granite boulders, there are breathtaking views overlooking the Port Launay Marine Park and it's azure blue waters. Facilities include air-conditioning, hairdryer, LCD TV, telephone, mini-bar, a safe, bath, separate shower, Nespresso machine, 24 hour room service, a mini-wine cooler and free Wi-fi. Two bedroom Hillside villas measure 220m2 and have their own private pool and garden as well as four sun loungers, perfect for sunbathing. Located high on the hills and encompassing the surrounding granite boulders, there are breathtaking views overlooking the Port Launay Marine Park and it's azure blue waters. Facilities include air-conditioning, hairdryer, LCD TV, telephone, mini-bar, a safe, bath, separate shower, Nespresso machine, 24 hour room service, a mini-wine cooler and free Wi-fi. Save up to 30% discount on the hotel price for holidays of 3 nights or more between 07 January - 13 July 2019 and 01 November - 26 December 2019 booked at least 45 days prior to arrival. Save up to 25% discount on the hotel price for holidays of 3 nights or more between 14 - 31 July 2019 and 24 August - 31 October 2019 booked at least 45 days prior to arrival. Save up to 15% discount on the hotel price for holidays of 3 nights or more between 07 January - 31 July 2019 and 24 August - 22 December 2018 booked between 1 - 44 days prior to arrival. Yesterday I wrote a comment on trip advisor about the hotel Ephelia part of the Constance group in Seychelles. Usually you think that writting a comment is like throwing a bottle in the sea.. and you get an automatic response from management.. Well this is counting without the manager of the Ephelia hotel. This very professionnal swiss trained manager from Thailand will enquire like Sherlock Holmes amongst its staff and find you at Breakfast the next day! ???? your comment is gold to me???? will he tell you. After a sit down and comprehensive debriefing , he will offer you a tour of the Spa with Teo the spa manager ( an amazing calm and beautiful space and the largest spa of the region) and a treat for you and your husband..He will indicate to you the quiet places and the nicest beaches if you want to be in a calmer spot.The lesson of the story: don?? ?t underestimate the power of tripadvisor, and the efficiency and professionalism of the manager at Ephelia! Thank you . I think this beautiful place is going to become one of my favorite place .I look forward to enjoying the rest of the stay! “ A place to return again..
We stayed at Constance Ephelia in March '19, I must say that it's a beautiful resort with massive rooms and lovely villas across both beaches.A perfect place for those who are looking for a relaxing, peaceful and romantic sunsets. While there i recommend you to try Helios restaurant for it's tasty dishes and delightful wines. A big Thanks to Simon, who provided us an outstanding service and brightened our holiday with his huge smile and positive vibes. 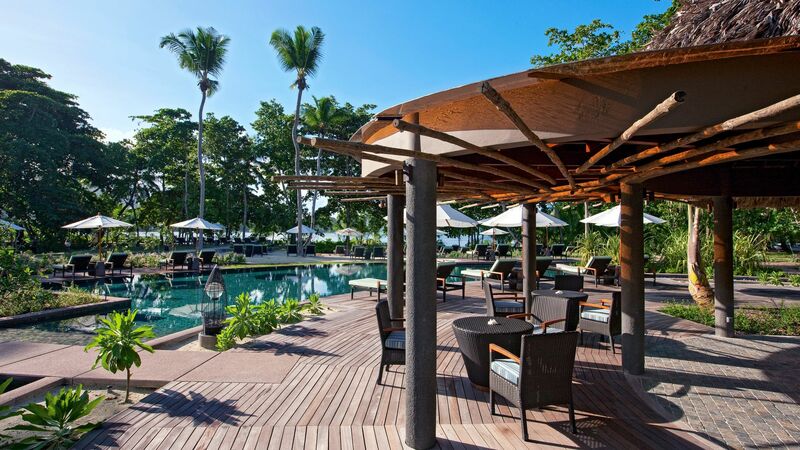 For my Honeymoon, I recently stayed at the Constance Ephelia resort for 13 nights. Upon arrival, I soon realised that the room which I had booked (Junior Suite) didn't offer the privacy which I had expected. The suite was part of a shared building meaning that neighbours would either be on the floor directly above or below. After speaking with reception, I was informed that an upgrade was available to the "Hillside Villa" The upgrade was very expensive, but I was happy to pay as I wanted the Honeymoon to be special. The Villa was very nice and it offered the privacy which I was looking for. The thing which niggled me was the poor customer care: Upon booking the villa, I was informed that we'd be offered a butler service provided by a gentleman called Jawadu. This turned out to be nonsense. I did attempt to call Jawadu once to arrange something, but after 10 seconds of conversation the phone line went dead and he never called me back. It was our honeymoon and I has anticipated that the hotel would do something nice for us as I has spent so much money. Perhaps a voucher or a free drink, but nothing ever came and it annoyed me... Perhaps that's the problem with staying at large hotels, they lose the personal touch.